It’s all about perspective. When you shop around for a nice bike from a nice bike shop, $440 is considered on the low end – if even available. 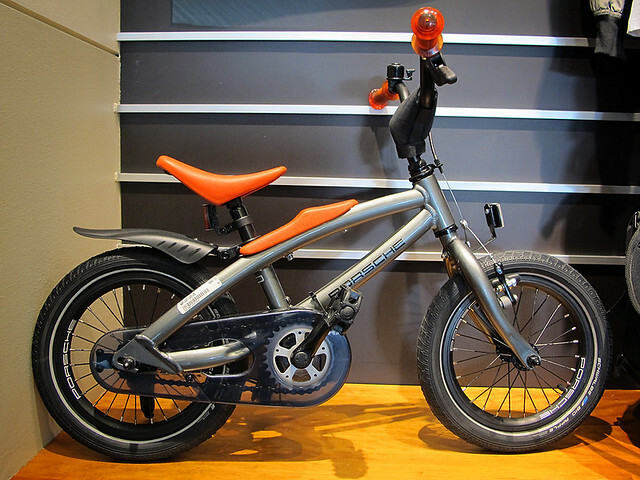 But, for some reason, when I saw this kid’s bike at my local Porsche dealership (work related visit – not personal), I kinda flipped out at the price. Sure, it’s a nice quality bike with a light weight frame that’s convertible from a push-bike to a small child’s bike. But you have to wonder how much you are paying for that ‘PORSCHE’ sticker on the side. Then again, how much are you willing to pay for the Trek, Nissan and Radioshack name on the side. WOW!